Elizabeth turned 5 on New Year’s Eve. We didn’t have a party for her this year and instead took her out today to the amusement park on Aberdeen’s waterfront. 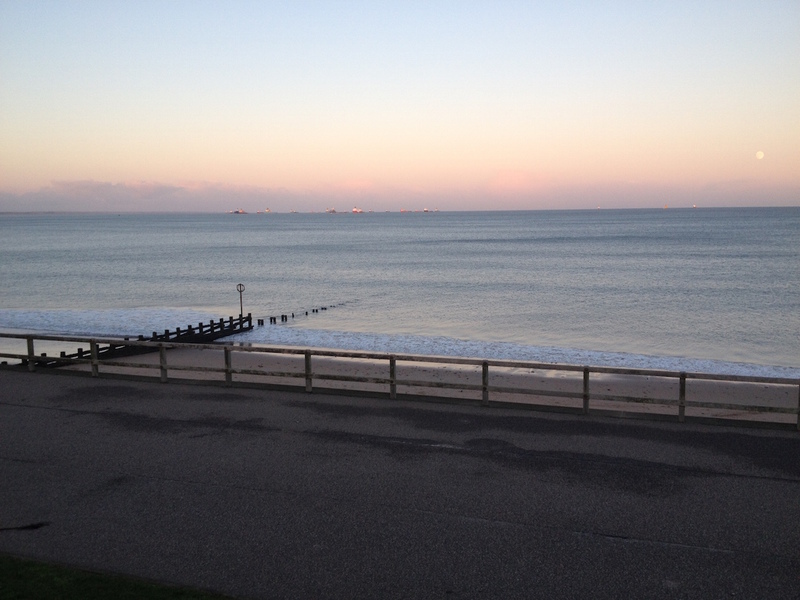 Yep, Aberdeen has an amusement park right by the sea called Codonas. Personally I think it’s a god-awful waste of good real estate but who am I to argue with every kid on the planet? Even my younger self used to love fun parks and I always went on every vomit-inducing ride. Brisbane is near to Dreamworld, Sea World, and Movie World and I’ve been to all three of them numerous times. 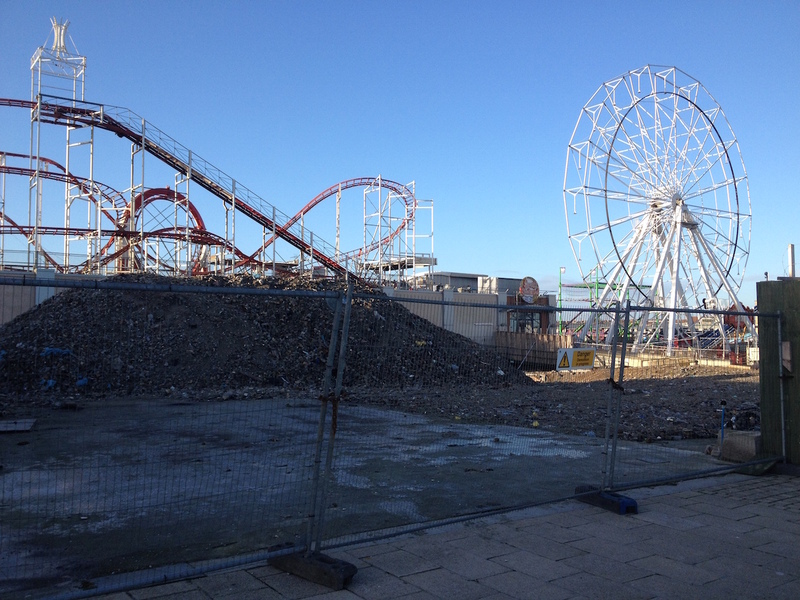 The outdoor part of Aberdeen’s amusement park is closed for the winter and it’s also undergoing some kind of renovation, as you can see from the attractive photo of it below, but there’s a large indoor section with bowling, mini golf, dodgem cars and lots of other things. Brisbane has the Ekka (aka Exhibition) every year in August and I always went to this when I was a kid. 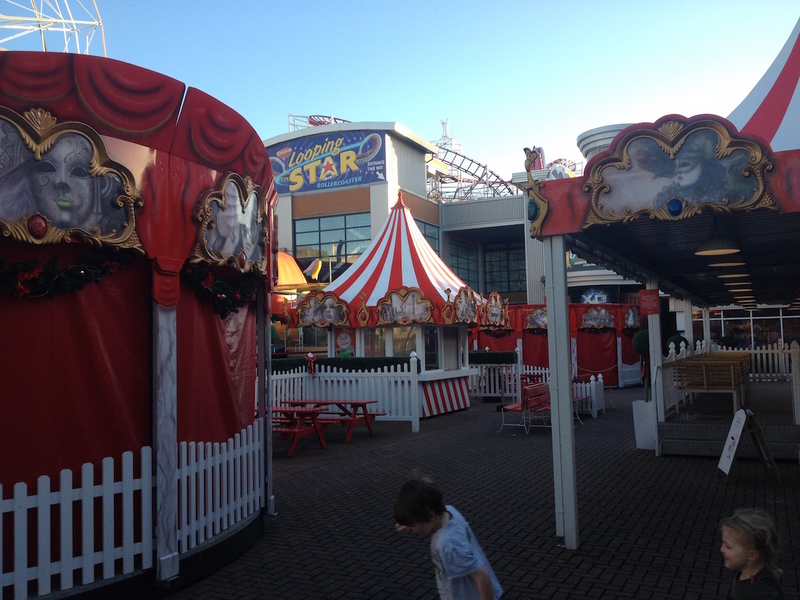 There were fast rides, the woodchop, animals, fireworks, show bags, dodgem cars, crowds of people and dreadful food. The last time I did dodgem cars was at the Ekka. We took the kids on the dodgem cars in Aberdeen and it was just us so we had the whole thing to ourselves and it was great fun. My memories of dodgem cars is lots of pounding into other cars and very little moving. Well, with just three cars we had the whole circuit to ourselves and it was great fun. You can actually go quite fast. Elizabeth did not stop laughing. Then we played mini golf. You might think that Ben is a mild-mannered and quiet mathematician type and this is probably true but he’s also got a killer competitive streak. He grabbed the pen and score card, kept score, and ended up thrashing us all. He’s never played golf in his life so I asked him about this and he said, “Nana and Pop had a putting green in their backyard”. Damn! We’ve been married for 8 years and I never knew. It was a lovely sunny day today. This seems to be the case fairly often in Aberdeen. I seem to remember the weather in the UK being overcast more often than this so either Aberdeen gets more sun than the places I’ve lived in before, or the UK is sunnier than it used to be. I missed Busby when we were away last week and have had some great rides since we came back. I’m loving the attention I get – apart from the one negative comment from a grumpy old man which I didn’t like much at all – most people are really impressed and smile and some even ask for a lift. One man today said he thought he should get one for his wife and then he took a photo of us. A motorist the other day tried to high-five me as I cycled past. Unfortunately 1st gear stopped working today and I struggled to make it up the hills. But my legs got a terrific workout. In case anyone doesn’t know, cycling gives you great legs. Trust me on this one. I read a good article today that I want to share – Extreme Wealth is Bad for Everyone – Especially the Wealthy. According to the article wealthy people are meaner: they’re more likely to cut in front of other cars, not give way to pedestrians, steal, cheat, and lie. The other interesting thing is that there is no increase in happiness when rich people get richer. This seems obvious but the amazing thing is that rich people don’t know it! They think more money will make them happier. Maybe someone should tell them. I’m the happiest I’ve ever been just now and one reason is because I live in a city where I can walk and cycle wherever I want to go. This actually means we need less money than before as we’re not paying for the up-keep of a car since we don’t own one any more. I also don’t buy meat, or not very often anyway, which reduces the cost of our weekly grocery bill. You don’t need lots of money to be happy. 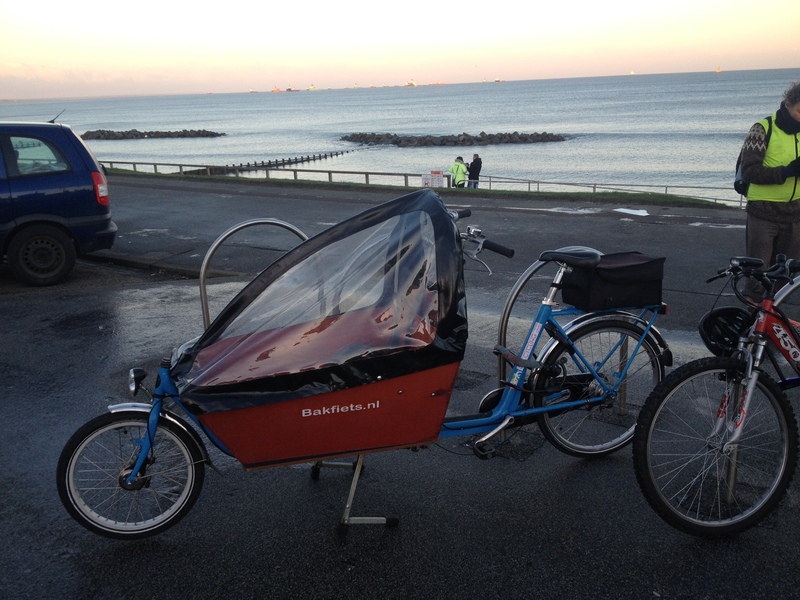 Posted in Aberdeen and tagged amusement park, bakfiets, Codonas, cycling, dodgem cars, Ekka, Featured, fun park, happiness, inequality, photos, wealth. Bookmark the permalink. He had an unfair advantage! They arent actually renovating it used to be Jimmy chungs which burnt down after a fire 😦 but a nice post! Ah, thanks so much for letting me know! I wonder what they’re planning to do with the spot? Do you know? How lucky were you to get the dodgem cars to yourself! Was amused to read about Ben and the score card. It must be nice to get all of those positive looks and comments when you’re out on Busby. Will it involve much rigmarole to get first gear fixed up? I think I need Busby for my legs but am making do with a bike in my bedroom. Not as handsome or as useful, though. I just love the attention I get on Busby. How pathetic does that sound?? I’ll have to get the gears fixed which means taking it to a bike shop. They’re hub gears so they’re enclosed and I’m not game to start pulling it apart. An amusement park is not really my first choice of outing either. We only went for the kids. I’m worried about the time when they want to go on the roller coaster and I’m probably going to have to accompany them. I’m sure it’ll make me want to vomit. Fascinating article about extreme wealth and the biological effect it seems to have on people’s brains. Yes, it was good. The bit about how the very rich have less influence than we think was interesting and unexpected. Trickle-down economics doesn’t work so well, but trickle-down unhappiness seems to. There’s no requirement in job description to be happy. Yes, donating 10% of our incomes to charity is something Peter Singer has been pushing for a number of years. See The Life You Can Save. We don’t donate that much, no where near that much, but we do donate to two charities monthly – Oxfam and Animals Asia. We should donate more though. All of us should. Ben is incredibly competitive and it’s quite funny because it’s so unexpected. He just doesn’t seem that way at all when you first meet him. It’s less soggy than Auckland. Auckland gets over 1200mm of rainfall a year so Aberdeen is a welcome change to this. 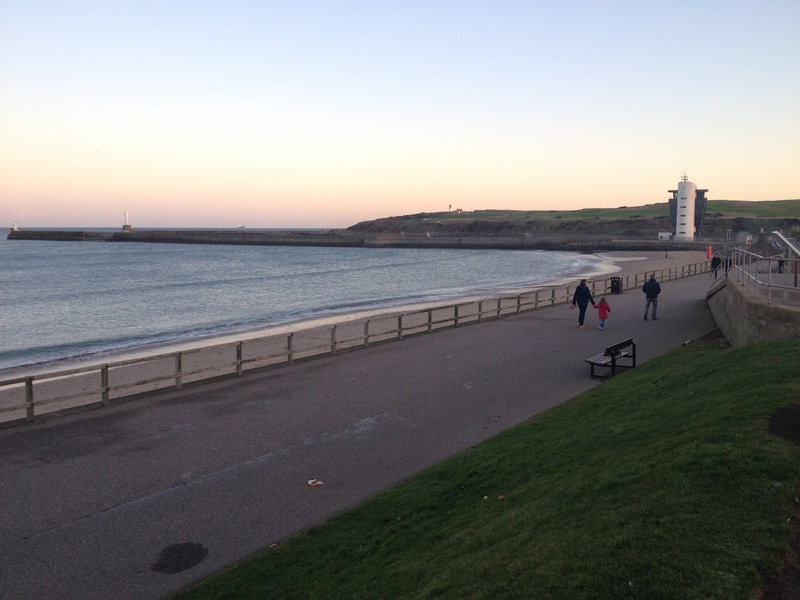 Aberdeen has been looking great in your pictures – very blue skied. It’s nice and I miss it!